During the seventeenth and eighteenth centuries,during a period of philosophic thought called the Enlightenment, the idea of “natural rights” was all the rage. With few exceptions, the philosophers of the day felt that human beings were born with certain immutable rights and that the protection of these rights must be a condition of the establishment of a government; e.g., an integral part of the social contract. The Declaration was actually a list of complaints against England’s’ George III, used to justify our “separation,” as Jefferson put it, from the British Empire. But, more importantly, the Declaration also set forth the political philosophy of a secular government, which was adopted by the founding fathers and became the raison d’être for our Constitution and Bill of Rights – the organic law of the United States. The ultimate purpose of this organic law is to enable people to freely exercise certain rights with minimum interference by the government. And the protection of these rights is why, to paraphrase Jefferson, governments are instituted among men. Right 1) n. an entitlement to something, whether to concepts like justice and due process, or to ownership of property or some interest in property, real or personal. These rights include various freedoms, protection against interference with enjoyment of life and property, civil rights enjoyed by citizens such as voting and access to the courts, natural rights accepted by civilized societies, human rights to protect people throughout the world from terror, torture, barbaric practices and deprivation of civil rights and profit from their labor, and such American constitutional guarantees as the right to freedoms of speech, press, religion, assembly and petition. So even though rights can be considered property, they are not commodities. There is no invisible hand in the marketplace driving economic decisions pertaining to rights. Notwithstanding the U.S. Supreme Court opinions to the contrary, rights can not be bought or sold. These words, along with their nexus to the Declaration of Independence, were memorialized in the 14th Amendment in 1868, which provided for citizenship rights (privileges and immunities), due process, and the equal protection of the laws. 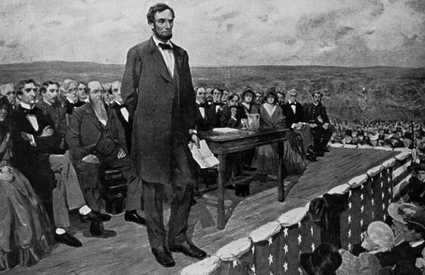 Our government was therefore founded on the principles of assuring and protecting the natural rights and the liberty interests of we the people. These, to me, are not just limits on the government, but moral imperatives. By extension then, our elected officials at all levels have a moral obligation, and arguably a legal one as well, to help assure that all Americans are afforded the unalienable rights of life, liberty and the pursuit of happiness, among many others, including health care. On that point, consider that in 1798, Congress passed and President John Adams signed into law, “An Act for the Relief of Sick and Disabled Seamen.” The Act authorized a small deduction from the wages of seamen for the sole purpose of funding medical care for sick and disabled seamen, as well as building additional hospitals for their treatment. Now, President Adams was not only a member of the committee that drafted the Declaration of Independence, but was also a delegate to the Constitutional Convention in 1787. Ergo, Adams was fully aware of and uniquely qualified to discern the intentions of his fellow founders regarding the people’s rights and the appropriate functioning of the federal government. I think It can be argued, then, that the law providing health care to disabled seamen could be a predicate to the Patient Protection and Affordable Care Act (a.k.a., Obamacare), even though the latter was in force 212 years earlier. To the extent that a life is lost or that liberty and the pursuit of happiness are compromised by any American due to the lack of health care, then those elected officials responsible for legislation that would ameliorate such suffering, but refuse to do so, are thereby denying the rights promised to that citizen through the establishment of our republic. Such legislators are, in effect, alienating those rights. And their allegiance to fundamental American values should be called into question. Of course, there is no way to list all the possible rights protected by the Ninth Amendment. And health care, at least as we know it today, was virtually nonexistent in the early days for the republic. It’s understandable, then, that it was not singled out as a specific right. Today we have the U.S. Department of Health and Human Services. And almost every state has an equivalent agency. There is government-provided health care for the bad guys in our prisons. 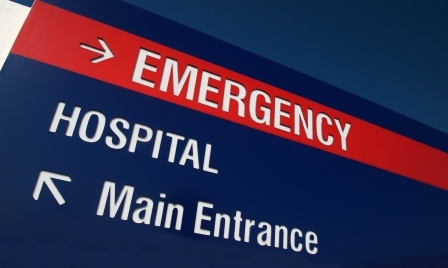 Under the 1986 “Emergency Medical Treatment and Active Labor Act,” hospitals are required to accept and treat anyone who comes to the emergency room regardless of their ability to pay. (But then the hospitals recover that “lost income” through higher charges for those who can pay.) Then there is Medicaid. If you qualify, you can get “free” health care, courtesy of the taxpayers. Of course, health care is provided to our active and retired military veterans and their families at low or no cost. Services are provided by the Veterans Administration and TRICARE. On October 1, 2013, the Department of Defense established the “Defense Health Agency” which coordinates health care services through the various agencies for current and former military personnel and their families. So, the U.S. already has a kind of socialized health care system, but in a patchwork of programs at both the federal and state levels. A breach of this Convention is a war crime and possibly a crime against humanity. 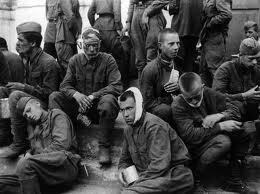 So, if it’s a crime to refuse health care to POW’s, what is it when the health care of a U.S. citizen is withheld or denied by the U.S. Government? In my opinion, any legislation dealing with health care reform should be bifurcated; one part needs to deal with health “care” and the other with health “costs.” It’s really the “cost” part that is of most concern – to all the stakeholders. The term “health care reform” is therefore misleading because the primary focus is on medical expenditures, as distinct from medical treatment. Opponents of health care reform argue that health care should be run mostly by the private sector due to the efficiencies and competitiveness of a free market and because, well, the government is lousy at running anything. Of course, any benefits the private sector produce as the result of competition accrues mainly to insurance, pharmaceutical, and medical equipment and supply companies. Health care providers that have one-on-one contact with patients – doctors, nurses, hospitals, clinics, therapists, rehabilitation facilities – provide services that, by their nature, do not lend themselves to market-based pricing. There is little or no competition going on between the providers and, obviously from the record, there are no incentives to provide the best possible service at the lowest possible cost. You rarely see an ad from a doctor that offers a free appendectomy if you have your gall bladder removed. • At $8,508 per capita and taking up 17.7% of GDP, the cost of health care in the U.S. is the highest in the world. • The U.S. ranks 46th in the world for the quality of its health care system and is positioned between Serbia and Iran. • According to CIA’s World Fact Book for 2014, the U.S. ranks 42nd in the world in average life expectancy. Japan ranks 3rd and the European Union ranks 37th. • CIA’s World Fact Book for 2014, also reports that the U.S. is 169th in the world for infant mortality. Poland is 168th, and Serbia is 170th. • Annual health insurance premiums for family coverage went from $5,791 in 1999 to $16,351 by 2013, an increase of 281% Meanwhile, inflation adjusted average household income in 1999 was $75,428, and by 2012 it was $71,274, a decrease of 5.5%. • Bankruptcies due to medical bills increased by nearly 50 percent in a six-year period – from 46 percent in 2001 to 62 percent in 2007. • The average charge for joint-replacement surgery, ranged from $5,300 in Ada, Okla., to $223,000 in Monterey Park, Calif. Even in the same city, there were huge swings. The charge for treating an episode of heart failure was $9,000 in one hospital in Jackson, Miss., and $51,000 in another. • Internationally, prices for drugs vary significantly. According to a 2013 report by The International Federation of Health Plans, prices for Celebrex ranged from $51 in Canada to $225, in the U.S. The price for Nexium is $23 in the Netherlands, and $215 in the United States. • The author’s cost for a 90 day supply of the anti-depressant Lexapro (20 mg/day) was $680.78 on September 28, 2013 under Humana’s Part D prescription plan, and $270.00 on January 15, 2014 under Express Scripts Medicare Part D plan. Both scripts were name brand only (not generic) and both were purchased at the very same pharmacy. These are all symptomatic of a failed health care system in the United States both in terms of economics and the quality of service. And while I am loath to have government interfere any more than necessary, it seems to me that some of the excesses found in the system must be reigned in. In fact, the current situation screams for strong action by the government. It has the legal and moral obligation is to do whatever is needed to assure that the unalienable rights of the people to adequate health care are protected. This is no different, it seems to me, than the government’s obligation to keep the country safe from attacks by other nations or by terrorists. Money is no object when it comes to protecting our freedom and liberty. Nor should it be when is comes to life and the pursuit of happiness. 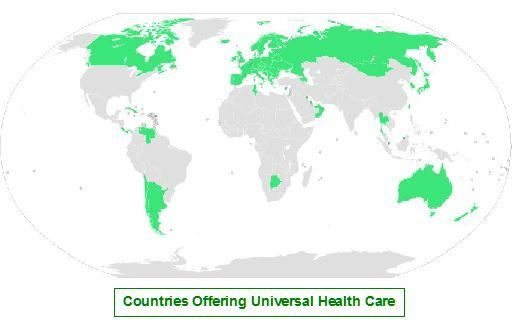 So, in my view, it’s way past time for the U.S. to join the rest of the developed nations in the world and assure that universal health care is made available to all of its citizens. And it can be done in a way that preserves the private sector’s interests while also assuring that the public’s interest is the top priority. If we do this, the sky will not fall and the nation won’t devolve into a socialist state. I promise. After all, a healthy citizenry is a happy citizenry. And happy people tend to vote for those who helped make them so. On that note, we should do all we can to make the Affordable Care Act the best it can be. Those who are trying to see it fail are betraying our country’s founding principles and, thereby, driving us further away from the moral high ground.